People and businesses invest in tanks to store oil for many reasons every day, but with so many different models available, it’s important that you choose the right tank for your individual needs. With rising fuel prices and the convenience that comes with storing your own oil – as well as the ease and cost efficiency of buying oil at a time that works for you, it isn’t hard to see why so many businesses are beginning to invest in oil storage tanks. Tuffa’s storage tanks are designed to last and are suitable for both private and business use. What Purpose Will a Tank Serve? 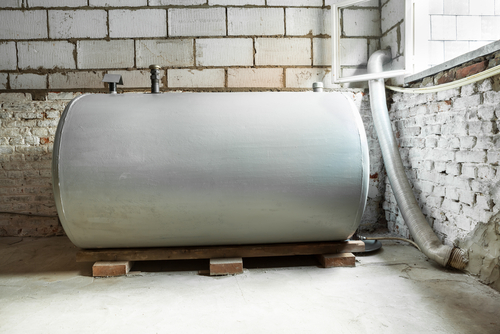 There are many reasons why you might look towards using oil storage for your home or business. Oil can be used for heating purposes and for vehicle maintenance, to name but a few. Businesses running a fleet of vehicles might also consider oil storage as a means of being able to change their cars’ oil and carry out other service works onsite, without the need to employ external services. Agricultural businesses often make use of tanks to store a large amount of oil and fuel, to avoid driving tractors and other machinery on the main roads causing disruption. Businesses that invest in oil storage tanks save on fuel costs while ensuring that they continuously hold stock of various materials. Tuffa manufacture tanks in a wide range of sizes, suitable for all purposes. On top of this, we are also able to manufacture bespoke tanks for specific requirements. This means that if you are concerned about fitting a tank into your own setting, we are able to offer advice and build a suitable tank based on your specific measurements. On top of the ability to manufacture tanks in all sizes, Tuffa also produces a range of transportable tanks, suitable moving large amounts of chemicals. All tanks are fully bunded to comply with oil storage regulations. A more comprehensive list of inspecting and maintaining your storage tank can be found here. Proper maintenance of your oil storage tank will ensure that your tank is performing to optimum capacity for as long as possible, while also protecting the safety of all of those who use and are in the vicinity of the tank. For more information on investing in a storage tank and the benefits that come with it, please call our team on 01889 567700.